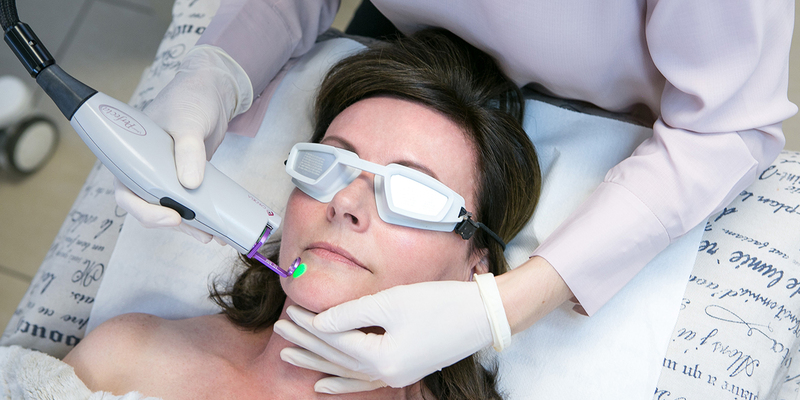 The pulsed-dye vascular laser is exceptional technology to safely and effectively target unwanted facial veins, vascular lesions and benign epidermal pigmented lesions. Laser is light that produces intense heat or energy. As the laser light passes through the epidermis to target vessels, it is absorbed by the blood and converted into heat within the abnormal vessel walls. The heating of the vessel walls cause coagulation or destruction of the vessel. As this laser has been designed to target vessels only, it will hardly ever cause any harm to surrounding tissues. At present this is the only vascular laser that cools the skin precisely before each pulse with cryogen, instead of the non-specific air cooling generally used. It is advised that patients with photo-sensitive epilepsy not have the treatment done.